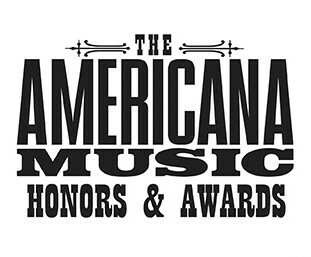 The 16th Annual Americana Awards will be held on Wednesday, September 13 at the Ryman Auditorium in Nashville and, has been the tradition over the years, it's all about the performances over the awards. This year's band was also announced with Larry Campbell, Robbie Crowell, Jim Hoke, Jerry Pentecost, Chris Wood and the incredible McCrary Sisters. Jim Lauderdale and Buddy Miller will host. Sturgill Simpson leads with three nominations while Drive-By Truckers and Rodney Crowell are among the artists with two. A live video stream of the 2017 Honors & Awards show will be webcast via NPRMusic.org starting at 6:30 PM CT.
A live audio simulcast of the show will also be available via SiriusXM’s Outlaw Country, and on Nashville area terrestrial radio stations: WRLT (100.1 FM), WSM (650 AM) and WMOT (89.5 FM). You can also catch performance highlights courtesy of Austin City Limits for a special broadcast to air November 19th on PBS.